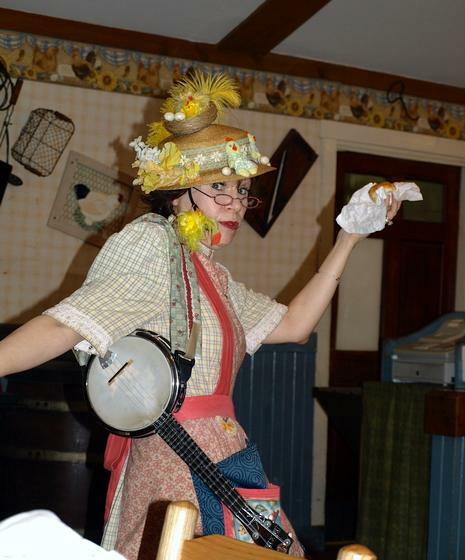 Miss Lillian's Chicken House is a counter service restaurant in Craftsman's Valley at Dollywood. It's a top quality meal. Chicken both baked and fried plus vegetables, salads and desserts. THE highlight of Miss Lillians Chicken House is Miss Lillian herself. This lady is a hoot! She makes up songs for guests, "flys" biscuits and generally keeps thing on a very positive note. Children LOVE her. She is truly a spirit. Dollywood talks about "memories worth repeating." Miss Lillian is not a "show" that repeats the same things over and over. She is a "memory worth repeating."